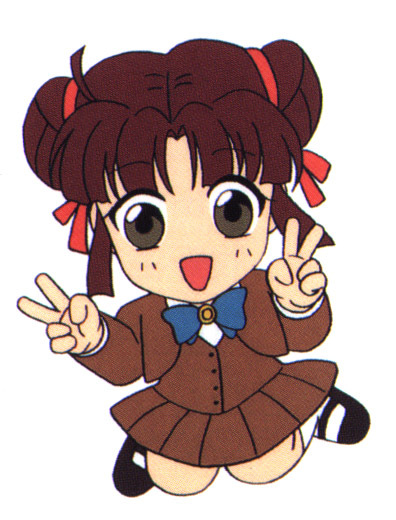 Some say she is too immature to be the Suzaku no Miko (shrine maiden of the red peacock God Suzaku), but I believe that this is the part of her that is happy, outgoing and perhaps a little naive; she can be very mature when the situation demands it (e.g. 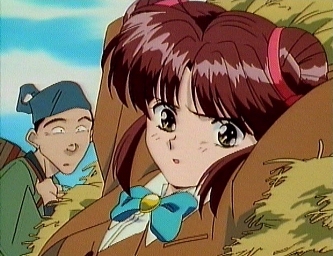 Taitsokun's first test, and throughout the series; she often puts her own life before those of her seishi or innocent people who've got caught up in the battles etc.). Remember, there's a time and a place; if she was serious all the time just think how moral would suffer! What would countries be like if their political leaders didn't smile or laugh every now and then? (Ok, I could give a few examples here but most ppl should know where I'm talking about, and I don't want this to be too serious... ^_^). SPOILER ALERT! Turn back now if you haven't seen all of the TV series. 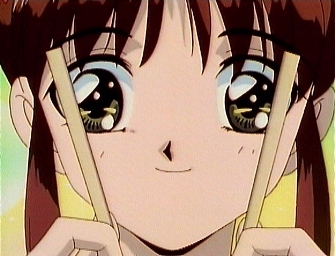 Suzaku, come to me physically. PLEASE COME DOWN TO US!! 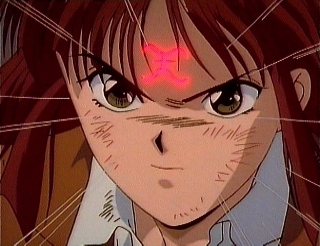 Yui-chan's third wish was to defy Nakago and unseal Suzaku, so Miaka could summon Suzaku and stop him from taking over / destroying their world. 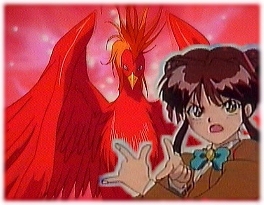 After saying the incantation, just like Yui, she was confronted with the human manifestation of Suzaku. 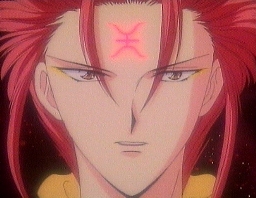 "I am the Lord of the South Quadrant, Suzaku. 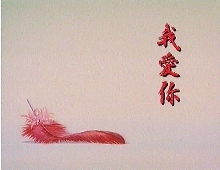 Are you the Miko who summoned me?" 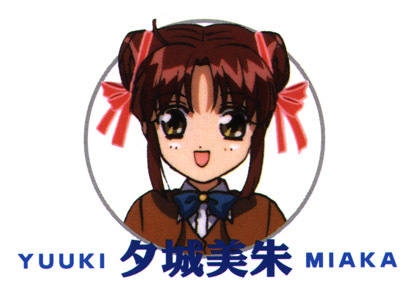 Yui was being consumed by Seiryuu, the dragon God who also seemed to have taken an urotsukidoji-type liking for destroying cities... or is it one of the chi no ryuu?... ^_^; hmmm... 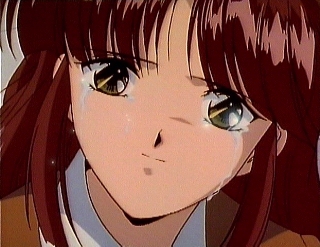 Anyway, Miaka's first wish was to free Yui from Seiryuu. Unfortunately, despite the shichi Seishi all combining their chi on Tamahome, he still wasn't doing too well against Nakago, who just wasn't going to be beaten. 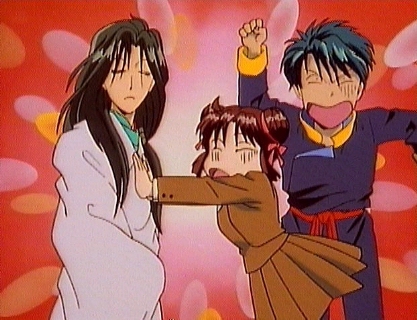 Chiriko suggests sealing Seiryuu into the scroll; Chichiri agrees it may work so Miaka throws up the scroll and shouts the incantation for the second time. This successfully sealed away Seiryuu, so Nakago lost his Seishi powers at a critical moment in his battle against Tamahome. 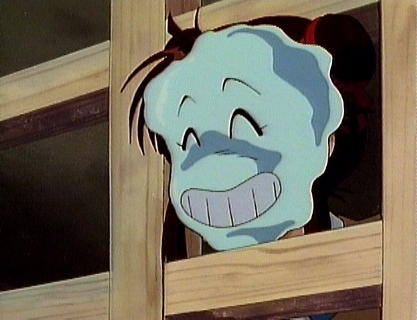 Nakago, sadly (yeah right =P), was defeated by Tamahome, who glimpsed Nakago's past and his reasons for wanting the revenge against... well, everyone and everything... holding with his promise however, Tamahome did not forgive Nakago for what he did to his family, him and Miaka, Yui, and everyone else he had systematically used. 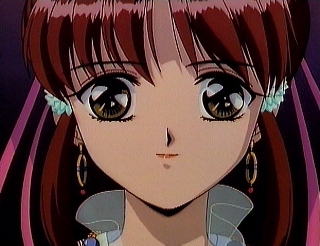 As the Suzaku shichi Seishi gathered round discussing how to spend Miaka's last wish, she whispered in Tamahome's ear, and sadly they agreed what must be done. 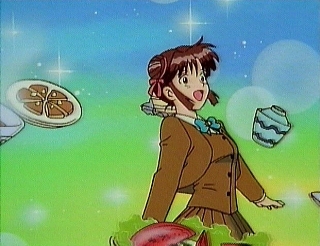 Her third wish was ultimate selflessness; she put aside her love to restore the world to normal, despite everything that had happened; all her hopes and dreams to finally be with Tamahome she discarded for other people. 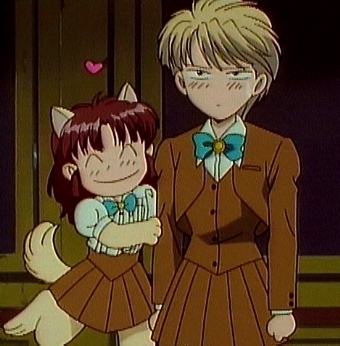 However, Tamahome made true on his promise to be with her. Like Hotohori's dying words, he vowed in his last letter to her that he would wait a thousand years until he could be with her again. 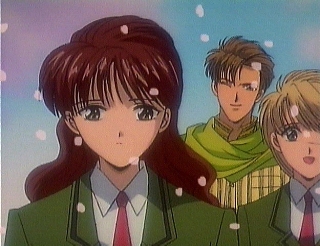 Right at the end, Keisuke and Tetsuyo introduce Miaka to a new freshman at their school; somebody born with past lives of a destiny to protect and love a girl. 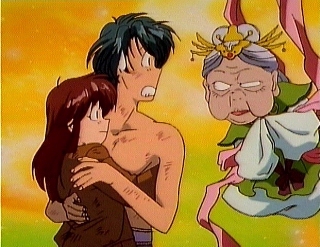 Tamahome is reborn so he can be with Miaka. 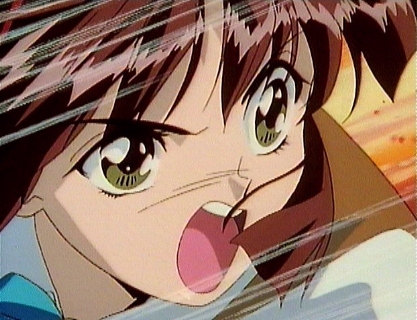 All of these images were taken from Mark Neidengard's awesome Fushigi Yuugi Image Archive.